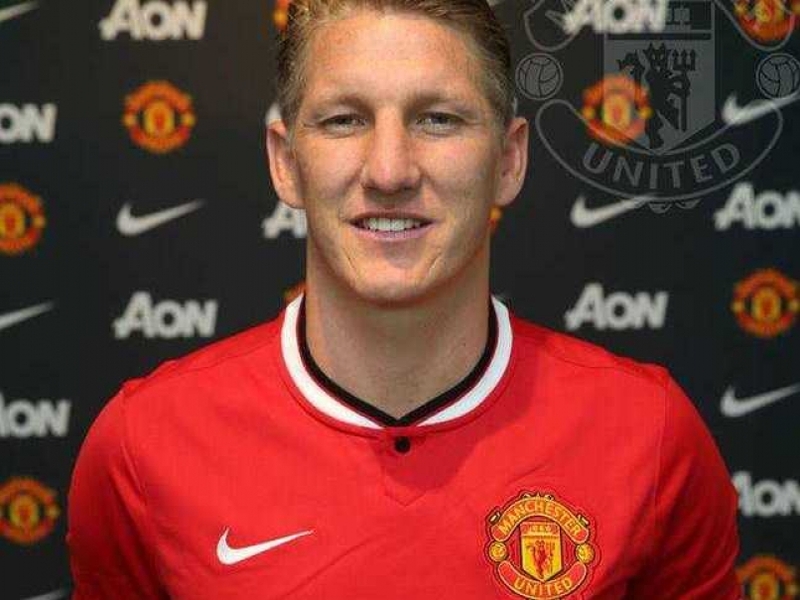 Manchester United’s marquee signing of the summer has been the German central midfielder Bastian Schweinsteiger. His addition to United’s midfield should bolster the hopes of all United supporters as well as causing fantasy Premier League managers to drool. Schweinsteiger should provide extra cover across the entirety of the pitch for the United midfield. He is a player capable of leading a team at both ends with ability in attack and defense, if he is able to settle in quickly. As many of us know, the pace and intensity of Premier League matches often leaves new players looking lost and worn out after just a few games. At least with Schweinsteiger he is coming from the Bundesliga where the intensity is a little closer to what it is in England, even though he did play for a Bayern Munich team that basically steamrolled the competition. Last season for Bastian was one that came following spending a very long summer spent at the World Cup. This season he has had time to recuperate and should be fresh and prepared for the coming season with Manchester United. So, what can Schweinsteiger add to your fantasy Premier League team this season? In Louis van Gaal’s Manchester United setup it seems likely that Schweinsteiger will be played as a defensive midfielder. With so many other midfielders in the team he will likely be joined by two more in central midfield with a choice from Morgan Schneiderlin, Michael Carrick, Juan Mata, Ander Herrera, Daley Blind, and Marouane Fellaini. This setup, along with his abilities, puts Schweinsteiger in a position of being able to distribute the ball from central midfield while also providing cover for the defense. I would say that much of his effectiveness will be dependent on who he is paired with in midfield. He’s not the most creative of midfielders, but this team has plenty of other players to provide that. As far as fantasy statistics go, Schweinsteiger would be better compared to players such as Jordan Henderson, Chris Brunt, or Jonjo Shelvey. He will provide points through his passing and defense with the occasional goal scored. That is not to say that he is the same quality as any of those players, in fact, I would say that he has the ability to surpass them and be closer to the likes of Yaya Toure or Christian Eriksen in terms of fantasy points. Based on his stats he is not going to be the kind of player racking up 190 or 200 points in a season. He does have the potential to be a quality pick bringing in a solid 150 points or more this season. In looking at his statistics for Bayern Munich over the last two seasons he scored four goals in 2013/14 and five goals last season along with providing four assists each season. In these past two seasons he played in 23/34 and 20/34 matches, which isn’t a whole lot of playing time. It is certainly hoped by United supporters that he can stay healthy and contribute to this team for the majority of the season. Analyzing the data with this in mind means that it is much better to look at these statistics in a per game basis. I will use Jordan Henderson and Christian Eriksen as my two points of reference since each scored a moderate amount of fantasy points at 162 each with Henderson playing in 37 matches and Eriksen playing in all 38. With these statistics Bastian Schweinsteiger should be able to fit into many fantasy Premier League lineups with one caveat: that he play most of the season. This means that he will need to stay fit for the season and would need to feature in enough matches to make him worthwhile. I would say this number would need to be at least 32/38 matches for the season. Due to his position on the field he has the chance to contribute to the team at both ends, including providing goals and assists. With players like Carrick and Schneiderlin in the team he could be paired with either one leaving him more open to providing an attacking threat, or he could be paired up with more attacking players like Herrera and Mata giving him more bite in defense. His statistics show his prowess in providing cover for the back four and with fantasy points being allotted for clean sheets and fewer goals scored, he could become a catalyst for decreasing the goals scored as well as ensuring more clean sheets. Manchester United already allowed the fourth fewest goals last season (37 allowed) and having a few quality DM’s sitting in front of this back line they have every chance of winning the title with this defense. With the question of what fantasy Premier League managers should do with Bastian Schweinsteiger it is a matter of risk at this time. With Manchester United starting the season against Tottenham, they have a difficult fixture, but one that could be favorable. This is followed by away to Aston Villa, home to Newcastle, away to Swansea, then home to Liverpool. While none of these are of the caliber of Chelsea or Arsenal, they all carry with them a hint of trickiness. A player like Schweinsteiger in midfield is exactly what this United team needs and should be the difference maker in many a game. Still, he has yet to prove himself in the Premier League and makes for a gamble for FPL managers. With a price tag of £7.0 he is right at that price point worthy of taking a risk. If he does well, you have picked up a bargain player who could rise in price rapidly. If he ends of stalling out and providing only a few points per week, he’s still low enough to drop and pick up somebody else. Still, there are several other players in that same price range worth looking at, even though I would say they are just as risky. These include: Samir Nasri, Erik Lamela, Andre Ayew, Gerard Delofeu, Jesus Navas, Yohan Cabaye, Jermain Lens, Jason Puncheon, Youn Gouffran, Ross Barkley, and Yannick Bolasie. For now, my advice is to pick him up and see where he takes you. He is a world class player that can easily becoming a star Premier League player. His price is low enough to take the gamble on now and drop later if need be.